The cut was directed by Benny Boom and Nicki Minaj plays a seductive queen who rule over her kingdom from her gold throne. 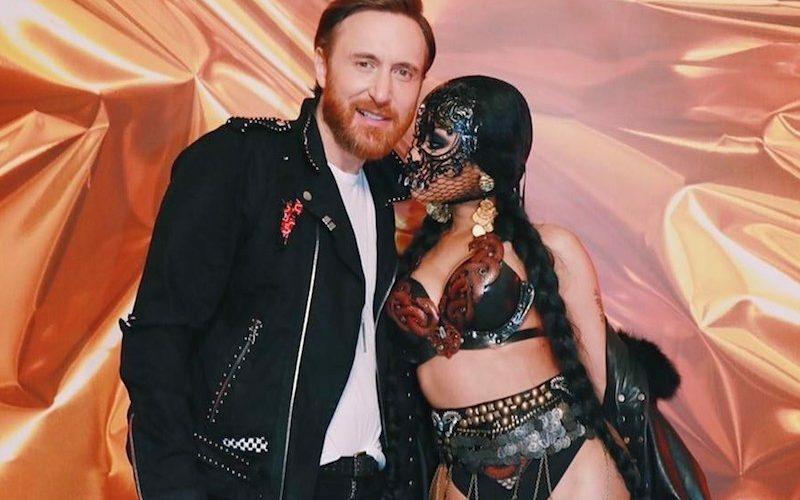 In the nearly four-minute long clip, David Guetta gets seduced by a beautiful female who leads her to Nicki who then light his body up just by touching her forehead. Lil Wayne delivers his verse with his famous Styrofoam cup with his drink in hand from a balcony. Nicki Minaj and David Guetta also make hit music together. The duo have previously collaborated on the singles “Hey Mama,” “Where Them Girls At,” and “Turn Me On.” This time they included Nicki’s Young Money boss and comrade Lil Wayne for the catchy new single “Light My Body Up.” Watch the video below. Over the last few weeks we’ve seen already three music videos from the “No Frauds” rapper who is getting ready to drop her new album sometime soon.